There is a significant amount of documentation involved with hood cleanings that you may want to know about if you aren’t familiar with it already. After a thorough kitchen exhaust cleaning, several pieces of documentation should be received from the kitchen exhaust cleaning company. The first piece of documentation that should be received after the cleaning has been completed is a work order report. This document includes the name of the cleaning company, the name of the individual(s) who performed the cleaning and details about what was inspected during the cleaning. Many cleaning companies will supply this automatically. You should also be given documentation on any areas of the exhaust system that were not cleaned because they were not accessible to the maintenance professionals. Sometimes ducts can be hard to reach and therefore tough to clean. The common obstacles found in kitchen exhaust systems include excessive grease buildup, lack of a hinge kit to properly access the exhaust fan and other accessibility issues within the system like the lack of an access door. This may mean that it is necessary to take steps to help ensure the cleaning team can reach all areas of the exhaust system. 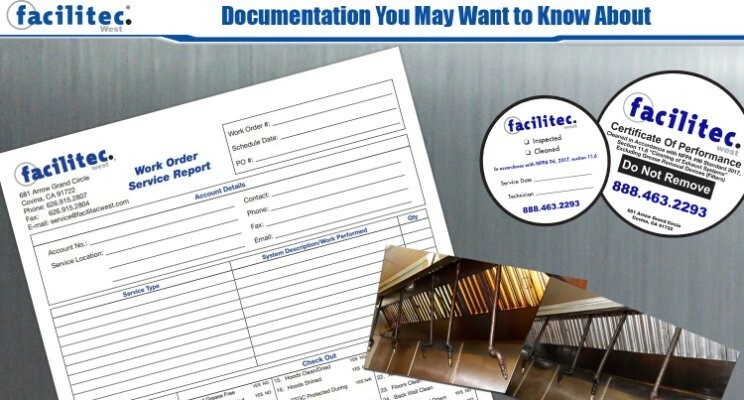 The Facilitec West team supports the elimination of these issues by helping to determine the best cleaning frequency for the individual restaurant and suggesting hinge kits or access panels that fit the individual restaurant’s needs. 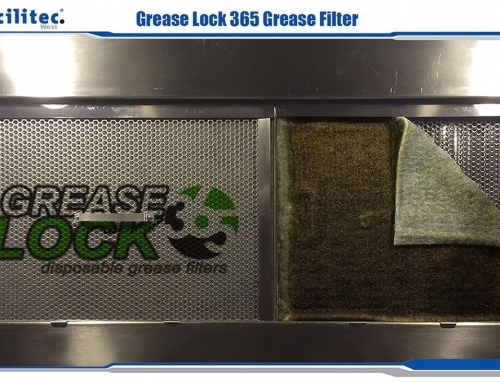 When possible, Facilitec West can install access panels to ensure access to the entire exhaust system and removal of all of the grease. We use only UL listed access panels, as required by NFPA 96. Staying informed is key in maintaining safety standards and helping to ensure a complete cleaning is provided. One of the documents you receive should mention that the hood cleaning is in accordance with NFPA 96 Standards. According to NFPA 96 Section 11.6.2 “Hoods, grease removal devices, fans, ducts, and other appurtenances shall be cleaned to remove combustible contaminants prior to surfaces becoming heavily contaminated with grease or oily sludge.” Having documentation on this can help prove that your restaurant is code compliant. It is a good idea to post it in the kitchen in plain view for any inspectors or insurance representatives to see. Additional information like before and after pictures are also sometimes provided by cleaning companies. At Facilitec West, we take before and after pictures of the cleanings we provide as well as pictures of any deficiencies. There is also a customer web portal we can provide access to where pictures of our visits can be viewed. We provide our customers with the information and quality service they need to maintain a safe, NFPA 96 code compliant kitchen environment. Give us a call at 888.463.2293 or visit our website for more info on our kitchen exhaust cleaning services!